Is filled with lots of toys and treats! Some toys are instant favorites. 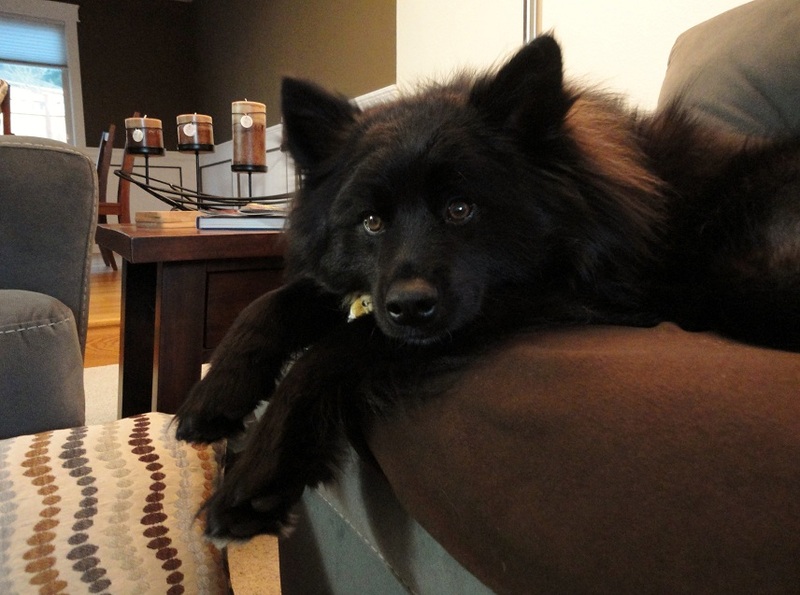 Like Teton’s Lil’ Lion, who is a Skinneeez stuffing-free toy. 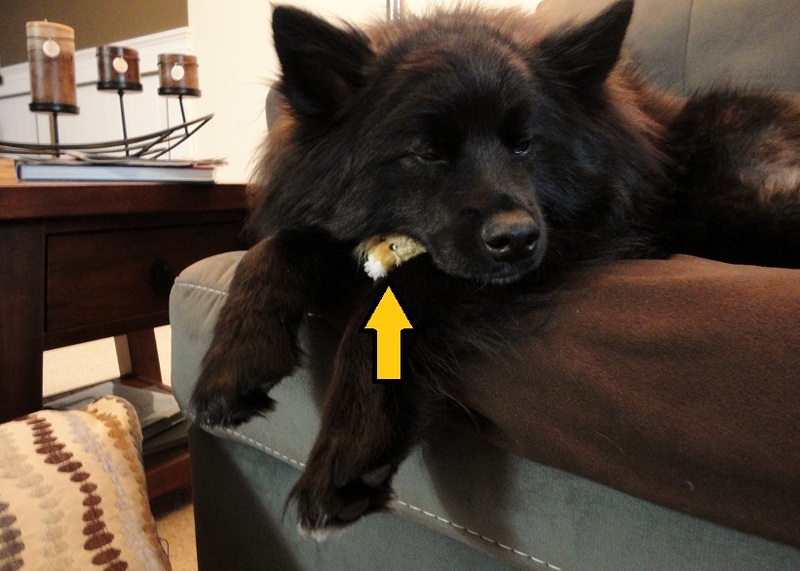 Have you given your dog a toy without stuffing? Teton loves ’em! They’re great for flinging around and if you have a dog that likes to rip things up, Skinneeez might be perfect for you because there’s nothing to destroy since they don’t have stuffing in them. Teton got three bags of treats, a new chew toy, and a whole package of stuffed animals (in addition to his Skinneeez toy), so we have a lot to review in the upcoming weeks. I promise we’ll get better with day-to-day photography. I obviously fell off the photography wagon over the holidays because I have little to no photos! 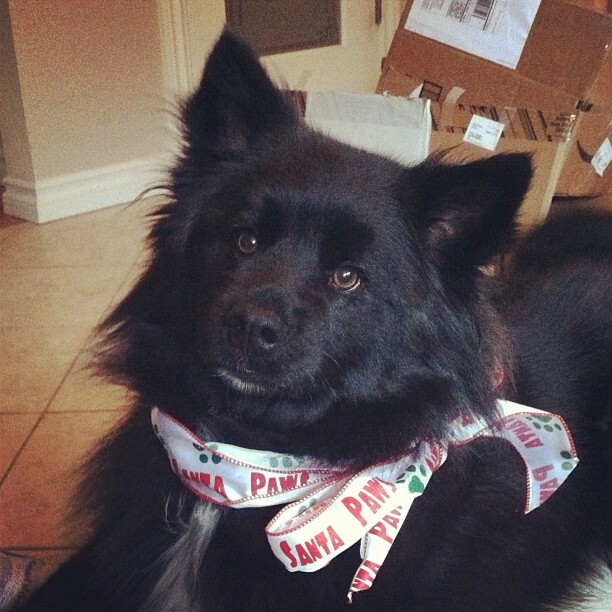 So, starting on Thursday we’ll get down and dirty with all the details of Teton’s Christmas goodies. 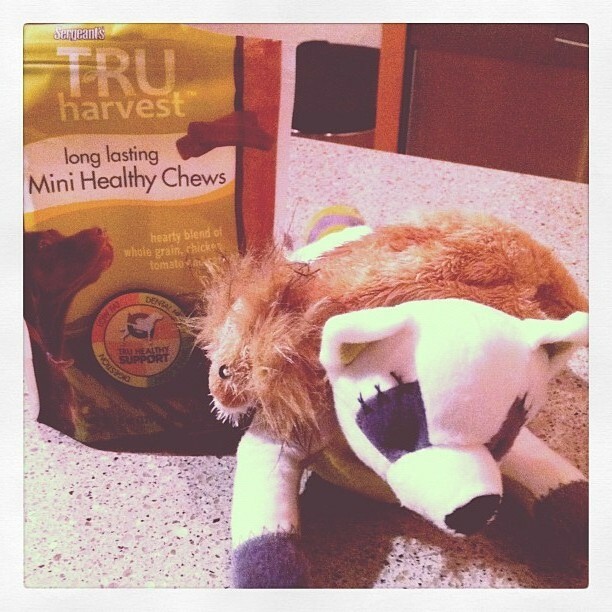 I think we’ll review his TRU Harvest chews first, since they’ve been a sleeper hit! We hope your Christmas was as awesome as ours! Posted on December 27, 2011 by Shannon	This entry was posted in This 'N' That. Bookmark the permalink. What a lucky dog! Merry (belated) Christmas, Teton! Oh P.S. Yes, we just discovered the stuffing-less toys last month and my dogs LOVE them! I think it’s because we got the ones that look like real animals, so it feeds into their prey instinct. It’s nice that they last longer than traditional toys, too!